Do you want to grow your moving company and start generating more of your own leads? Then follow these 8 marketing tips and ideas that will help you master online advertising, connect on social media, and build a strong reputation. Getting new moving leads has always been about timing. In truth, everybody is a potential moving company lead, but we only count once the planning starts and we’re looking at moving companies. Whether you’re getting a referral, generating your own lead, or buying the lead from a moving leads service, there is a window of opportunity where you have to get your bid in. Lag in any way, and you’ll lose to a competitor. But not all is a mad rush. Moving is a big deal, so many people start to research their options months in advance. Part of your marketing also needs to be about connecting with and nurturing these leads across their decision making cycle. Today, digital dominates, so most of these strategies have online elements. Put all these channels together and you can grow your moving company at a healthy clip. 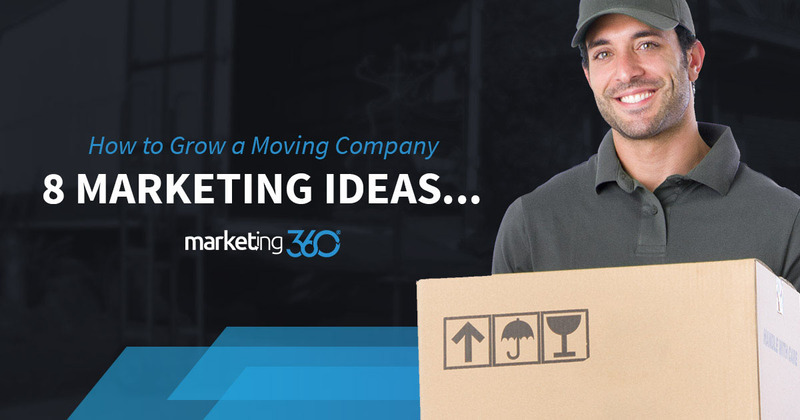 Your moving company website is the focal point of much of your marketing. Many new leads – regardless of how they discovered you – will check your website, which is a step that creates a strong impression. They’ll judge you based on your content, offers, and overall image, then decide if they want an estimate. Your website is the first place you have to communicate your value offering and distinguish yourself from the competition. It needs to be modern, simple, and – most of all – clear. If your website gives the impression that you’re outdated or if it confuses people, you’ll lose the lead. Make sure your design is mobile responsive, so it displays on phone screens. Make sure you have a click to call button, and keep your forms short and simple so they can be filled out on a phone screen. If you are talking to designers who are quoting you 5k or more for a website design project, run away fast. For a business like an independent moving company, you simply don’t need to invest that kind of money in web design. Templates like UXI® are more than adequate, and you can get the work done for free when you market with us. We structure our offer this way so you can save your budget for marketing – which is far more challenging than designing a website. Online consumers are very visual, so make sure there’s good use of imagery on your website. Avoid overuse of stock photos, and employ the concepts of the hero image. Get your images to help sell your services. Use these types of images on social media and in blogs to help you gain the trust of new leads. Video is a great way to get your value message across visually, and quickly. Put it on YouTube and optimize for search there, where there is still a lot of consumer search but much less competition. Unless you are a well-established brand that’s been around for years, the chances are you’ll need to look into buying leads. Sites like Home Advisor, Angie’s List, as well as moving specific sites like Moving.com and Relocation.com are places consumers turn to, so there are viable leads on them. These services come with some headaches, however. The biggest problem is that you’re in a competition with other movers to both reach the lead first and give the most competitive estimate. Work on your phone skills. This is a skill you need no matter what, but it’s essential when buying leads. You need to sell them on “you” on that first call. Be prepared with questions you can ask about the move that will help you understand the main needs of the lead. Then craft your pitch around those needs. Also, do your best to keep it light and be funny. If you can get the lead to laugh, you have a much better chance of winning the business. Don’t undersell yourself. Even when buying leads, the race to the bottom is not one you want to win. Moving leads who price shop and drive bids down to the point the mover is barely turning a profit are the worst types of clients. They’ll nickel and dime you and will still never be satisfied with your work. Then they leave you negative reviews, making it harder to win new work. We get a lot of movers and other contractors who come to Marketing 360 looking to break the cycle of having to buy leads. The other ideas in this article will help you with that goal. There once was a marketing service printed on yellow paper and left at people’s doorsteps. Now its main job is being used as a doorstop. Today when people want to look up a service like a moving company, they do it on Google. It’s a major advantage to have your business appear at the top of search results. You do this in three ways. The first is to use pay-per-click (PPC) advertising. You use the auction system (Google Adwords) to bid on keywords and gain placement at the top of the page. The top four results on any search page are all PPC. The second is the Google My Business listing. This is a free listing that ties into local search and Google Maps. It’s important to optimize your description and service listing with the keywords, particularly for the areas you service. As a moving company, this listing will largely tie into your physical location. To get search results in other areas you service, you’ll need to run PPC ads. Also, more positive reviews will help your ranking. Third is the organic listing of your website. This is driven by your search engine optimization (SEO) work. Optimize your site for target keywords, get some backlinks into your site, and blog on a regular basis to get high rankings. Note that you can use your blog to optimize content for a variety of searches, including common questions people have about planning a move. This is a great way to introduce your brand to leads doing research and get them into your marketing funnel. A tactic within PPC campaigns is retargeting. This places a piece of code (called a cookie or pixel) on a visitor’s browser and allows you to display specific ads to them after they leave your website. Retargeting is effective as a brand touch-point in the longer sales cycle when someone is researching their move. You can run ads on websites as they surf online, and in Facebook news feeds. Let’s back up for a moment. We just talked about buying leads, then how you might avoid doing this by using search marketing tactics. But there’s a twist. In 2017, Google introduced Local Service Ads, which is in effect a pay per lead service. In fact in some areas, you may have to use LSA as your primary paid advertising platform. LSA ads rank businesses largely on reputation, which means getting reviews is important. This process differs somewhat from getting reviews on Google My Business, so be aware you need to request reviews on both. Learn more about Google Reviews. While LSA is pay per lead, on this platform you only actually pay for leads you contact, and contractors and movers we’ve worked with have had success with the platform in general. These ads don’t run in all areas, but by the end of 2019 it’s likely you’ll need to look into using them, regardless of your location. When we talk to most movers about marketing on Facebook, they scoff at the idea. But they’re unaware of how powerful a tool Facebook is. In short, Facebook has an enormous amount of info on users. The algorithm is able to target people with a high level of accuracy. As we mentioned, you can also retarget ads to people who have visited your website, as well as people who’ve taken an action on your business Facebook page, like contacting you through messenger. These tactics are all paid ads you run on Facebook. Also remember that getting your clients to document their move and tag your company is a great way to get brand exposure. You can also post interesting stories, funny memes, and helpful tips for your followers. The biggest drawback to Facebook advertising is that there are so many tactics and targeting options, you don’t know what to do. Consider hiring a social media marketing consultant. It is possible that there is one type of content online that’s actually more influential than your website. It’s online reviews. Reviews seem to be everywhere nowadays. All of the lead-generation sites we mentioned above are also review platforms. Google My Business and Facebook Business offer reviews, and reviews are critical on Local Service Ads. Yelp and Top Rated Local are websites largely specializing in reviews. Consumers today trust online reviews, and they expect reputable companies to have them. If you have a poor or non-existent review profile, it’s going to cost you leads. There are two important steps you need to take to build up your stash of positive reviews. First, simply be aware that you’re going to get written reviews posted by your clients. Those reviews will be about the quality of your work. If your work is excellent, it stands to reason your reviews will reflect it. The opposite is also true. Strive for excellent service. Delight your clients. Go the extra mile. All this effort directly relates to your marketing and lead-generation. Making promises and keeping them is a great way to build a brand. Second, be sure to ask happy clients to leave reviews. The unfortunate reality of online reviews is that unhappy people are more motivated to write them. Use emails, social media, and just asking in person as ways to get more positive reviews. Overall, be sure to monitor what’s being said about you online. Give thanks for glowing reviews, and respond to problems like a professional. A strong review profile is an important weapon in your online marketing efforts. 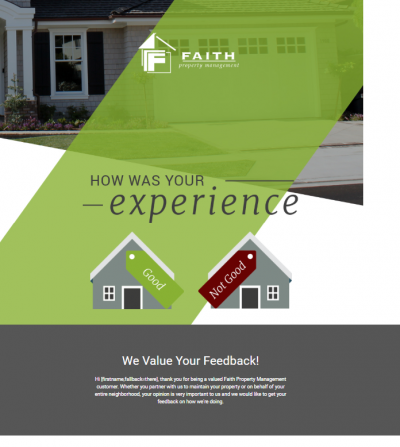 In addition to reviews, use testimonial content on your website. Specific statements from clients (with head shots or in videos if you can) make persuasive website content. By now something may have occurred to you. Marketing today is a bit more complex than the days when all it took was a Yellow Pages ad. Technology’s blessing is that it allows us to reach more of the right people at the right time with the right message. But the curse is that the management is tricky and time-consuming. Facebook’s platform alone seems intractable to the average SMB. Software platforms like Marketing 360® put all of these marketing channels into one, easy to manage place. You can view data, assign tasks, and calculate ROI. Our system also includes a CRM that makes customer management a breeze, and email marketing software so you can maintain those contacts. Last, you work with a marketing executive whose job is all about keeping up with the ever-changing landscape of digital marketing. One of the best strategies is to know where leads will be tomorrow, then get there ahead of your competition. Contact us today for a free demo of our software. Find top rated movers near me.